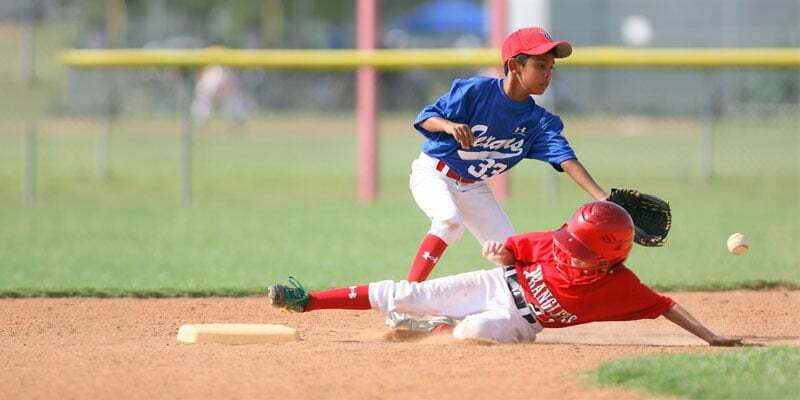 It should no longer be new to parents that kids benefit so much from getting involved in all sort of sporting activities. Gymnastics is one of the sport activities parents should allow their kids to participate because of the benefits it offers. Getting your kids the best kids gymnastics equipment for home use is the perfect gift you can give to your kids. There are many reasons you should encourage your kids that have interest in gymnastics. Apart from the fun and excitement your kids get from participating in gymnastic activities, they enjoy lots of benefits such as an increase in flexibility, strength development, cognitive skills development and prevention of different diseases. The truth remains that your kids don’t know what is best for them and it is the responsibility of parents to decide for their kids. You are in the best position to get the right gymnastic equipment for your kids considering their safety and comfort. The Tumbl Trak Junior PRO bar is a perfect gift parent can give to their kids that loves gymnastics and would always love to practice at home. Parents who are concerned about the safety and growth of their kids will choose the Tumbl Trak Junior for many reasons. It is the most solid bars among its counterparts with rounded corners to ensure your kids are safe while training. The versatility of the gymnastic bar makes it ideal for all skills levels and ages. Assembling the gymnastic bar is easier to do with all you have to do is to screw in 6 knobs and four bolts and it is set for use. The Tumbl Trak Junior PRO bar weighs just about 125lbs with the dimension of 54” X 72”. For adequate stability, comfort, and safety of your kids while using the gym bar, it incorporates large 4ft x 6ft floor stamp which keeps the bar stable for all kind of practice. The body of the bar is made from steel with blue and pink powder coated finish. Also, the solid 1-1/2in handheld wood bar is strong enough to handle any rigorous training. The bar comes with 38in to 56in in height, and you can adjust the height to that of your kids for convenience with the use of the D-2 Knobs. 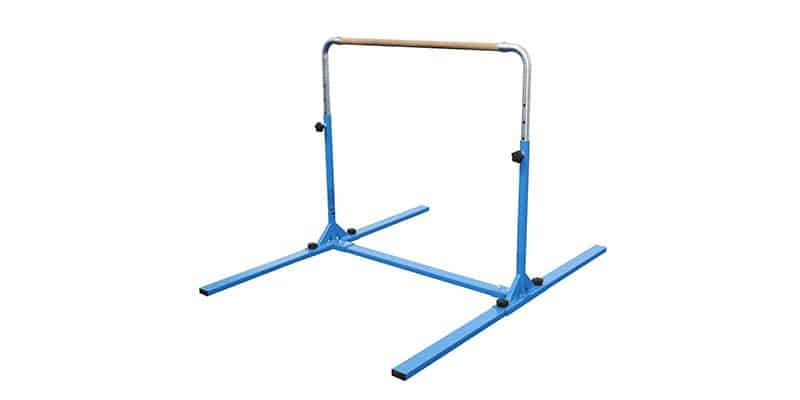 One other reason you should consider Tumbl Trak Junior PRO above others is that it meets with CSPIA standards and the design incorporates rubber floor pads to both ends of the supporting legs to ensure the bar is securely in place whenever your kids are training. And it requires 4 – 6 inches of thick matting. The next product on our list is from Tumbl known as Jr Kip bar. Everything about the gymnastic bar will be appealing to your kids. It is effortless to use with lots of quality features to convince you it is best to get your kids. It can be used by kids of different height as it comes with seven different height options with the help of the D-2 knobs. The height of the bar ranges from 38 inches to 56, and it weighs 125 lbs with extension but 75 pounds without extension. The gym bar has red, purple, green powder coat finish with a quality design that makes it safe to use for young athletes. Also, it incorporates rounded corners and flat steel bait for added support to ensure your kids are safe while training. The construction of the gym bar is of steel with smooth powder coated finish which helps to maintain the appearance of the bar for a more extended period. The beech wood bar of 1-1/2in that is added in the construction of the bar is strong enough to withstand the weight of any gymnast that want to train at home. Also, the bar comes with three different colors for parents to choose the one that suits their kids. It is also designed to be easy to transport from one place to another, and it requires simple setup to get the bar in place for use. Furthermore, the flat steel cross supports that comes with the bar makes it easier for your kids to install matting right under the bar to ensure they are safe while training. The Gym bar is compatible with either standard panel mat or thick mats. You are left with making the right choice for your kids. 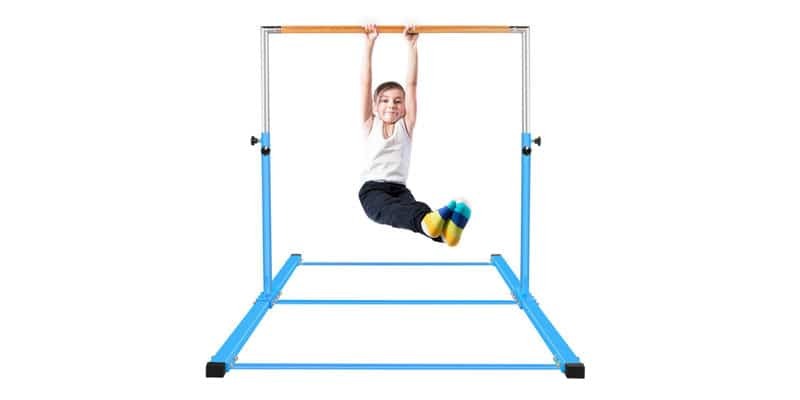 If you are in need of a versatile gym bar for your kids without sacrificing comfort and safety, the gymmatsdirect gymnastics junior training bar rightly fit in the box. It is a perfect gift to give to your kids that have passion for gymnastics. Kids of all ages from beginners to intermediate can use the versatile gym bar. Parents who don’t have the ample time for installation should select the gymmatsdirect gymnastics junior training bar because it is easier to assemble and disassemble without hassles. The gymnastic bar is heavy duty training equipment, and it is quite challenging to move from one place to another. It is big and covers approximately 4.2ft x 6ft of floor space. It comes in two different colors, and you can choose for your kids based on their preference. The construction of the gymnastic bar is made of quality materials which make it very strong to withstand all kind of gymnastic training. The design of the bar incorporates stainless steel regulating arm that is resistant to wear. The durable fiberglass bar comes with 130 pounds weight capacity. You don’t have to dispose the gym bar as your kid’s increase in height. With the use of the dual screw knobs, you can adjust the height of the bar from 36 to 59 inch to be equivalent to the height of your kids. 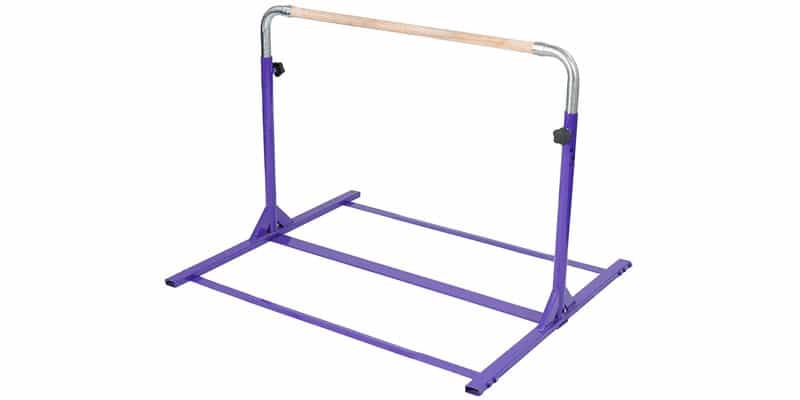 The gymnastic bar is stable and safe to use for your kids. For added protection, it is advisable that you get a gymnastic mat and use whenever your kids are training with the bar. The bar can conveniently fit any 4ft wide mat. Furthermore, apart from using it for gymnastic activities, you can as well attach the swing to it, but you have to get that separately. Also, it can be used to hand clothes whenever it is not in use. •	It is heavier than other gymnastic bars, not an issue unless if you set up and move it different place too many times. Gymnastic balance beam is one of the best gymnastic equipment that parents can get their athletic kids. It is very different from a gymnastic bar in its design and operation. It is considered one of the most challenging equipment in gymnastics. It requires flexibility, strength, and balance. A female athlete mostly uses the gymnastic balance beam. Your female kids can carry out different skills with this balance beam such as leaps, holds, jumps, turns, acrobatic moves, scales, and handstands. This particular product comes with 8 ft wood beam with riser style. However, there are six different types you can choose from, and they vary in design and prices. You have to ensure you select the one that will be compatible and safe to use for your kids. 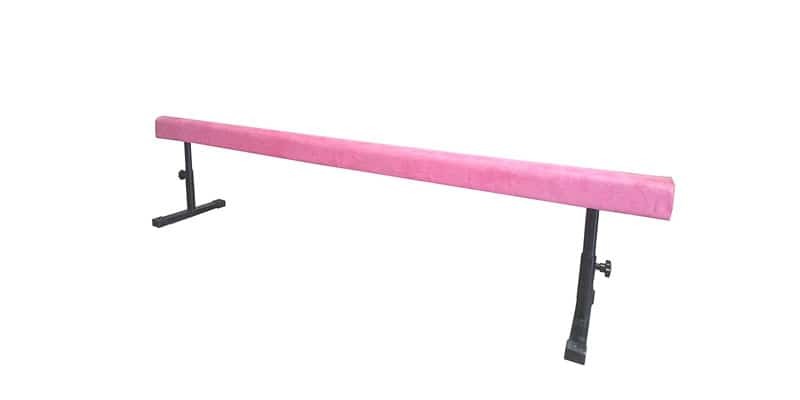 Also, the gymnastic balance beam has a two-legged riser, and that makes the equipment stable to give proper balance whenever your kids are training with it. The balance beam incorporates wood cross base feet, and the riser is adjustable from 12 inches to 19 inches. Furthermore, the surface of the balance beam is padded and wrapped with suede, and it serves as added support to your kids to give them appealing feel. Also, you have to get the beam and riser separately because they are not sold individually but quite easier to assemble. 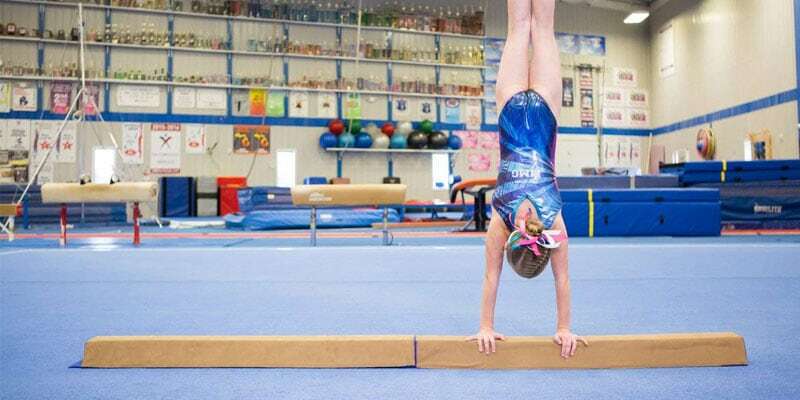 If you don’t have the ample space at home and you don’t want your kids to lose interest in their gymnastic training, you should get them the tumbl trak sectional floor balance beam. The floor beam balance is ideal for all kind of gymnastic practicing skills. The lightweight design of the beam makes it easier to use for kids of all ages. It weighs about 4lbs which means your kids can move it from one place to another without your help. The beam has smooth synthetic suede that covers it all around with two-layer foam which ensures it maintains a significant level of firmness. For kids that love to explore and try new skills, there might be a need for the this balance beam. You don’t have to worry about anything as the design of the beam incorporates Velcro on either side of the beam to allow you to join another balance beam to it. Furthermore, you can also get your kids a quality mat to use with the balance beam instead of placing on the floor directly. Each beam has the dimension of 4ft in length and 4 inches in width. The base width of the beam is 8 inches to offers your kid’s good comfort and stability whenever they use the beam on the floor or a mat. Choosing the best tumbling mat for your kids is the best way to ensure they are safe whenever they train to improve their gymnastic skills. The mat prevents your kids from having direct contact with the floor while training. 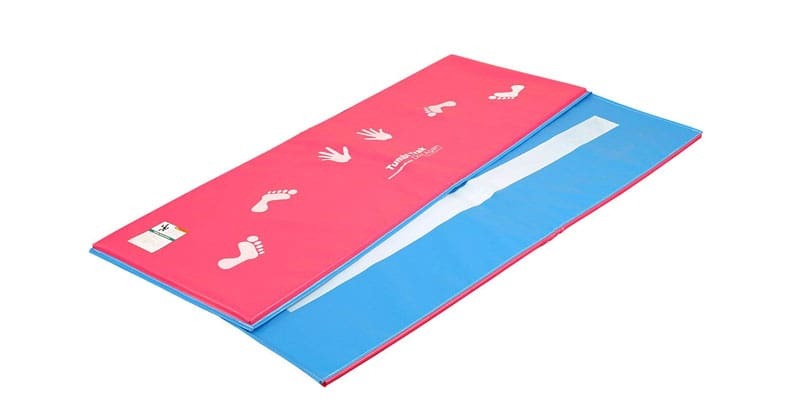 Parents who are concerned about their kid’s safety will consider this mat above others because it is made from 18-ounce vinyl and cross-linked polyethylene foam. It is the perfect gym equipment for those with little available floor space because you can always fold it after use to store it in a safe place. The mat is versatile and can be used by dancers, gymnast, and martial artist to mention a few. 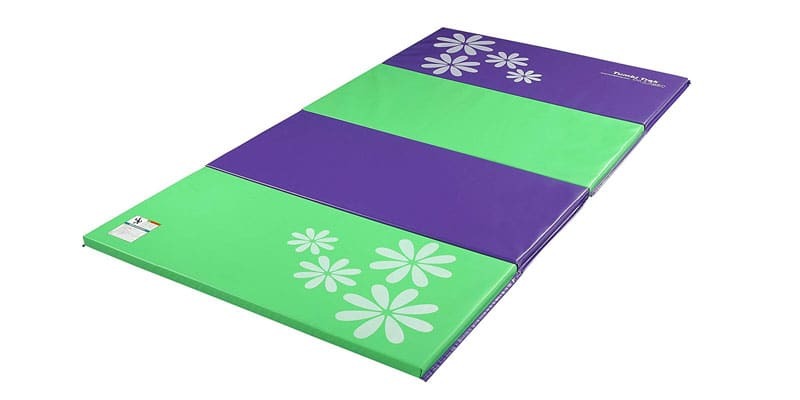 The 4’ x 8’ in size mat comes in 6 different appealing colors which mean you can choose anyone that will suit your kids. Also, the mat features hook and loop Velcro flap at the end of the map which makes it easier to attach to another mat. The foam used in the construction of the mat has all it takes to keep you safe and give you the support needed to have significant experience with your gym training. The last on our list of the best gymnastic equipment for kids to use at home is the Tumbl Trak Cartwheel Beam Mat. It comes in an attractive pink and light blue color with the size of 5/8 in. The cartwheel beam mat is equipped with all that is needed to give your kids a worthwhile experience with their training. The mat is made with cross-linked polyethylene foam that is thick to ensure that your kids are safe while training. 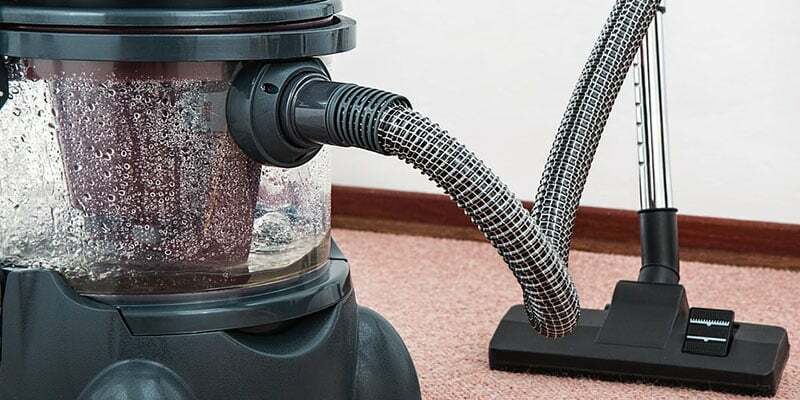 The polyethylene foam is covered with 18-ounce vinyl material to keep the mat in good condition for a more extended period with its tear and wear resistant properties. It is ideal for all kind of gymnastic activities and can also be used for every other sporting activity. It is perfect for kids of all ages and it worth spending your money on if you have the safety of your kids at heart. If you are considering getting your kids a gymnastic mat for home use, there are things you should put into considerations. 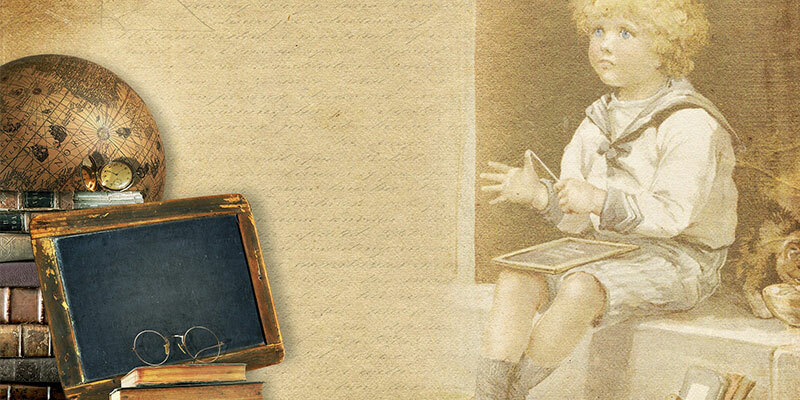 Below are the factors or essential features you should consider to help you get the right choice for your kids. It is advisable that you opt for a mat that is thick because it can protect your kids if they fall while tumbling on it. A thin mat will increase chances of getting injured. On the other hand, you should never get a mat that is too hard because it will hinder your kids in doing some skills. The standard thickness level for all gym mats is about 1-3/8in. You need to consider where you intend using the mat before buying it. You can then purchase the mat in alignment to the dimension of the space you have. While for those with little space to spare, you can opt for a foldable mat. Some balance beams fold up, and some don’t. So you need to consider this factor to help you make the right choice. It is another factor you should consider with the balance beam. The standard one is about 16 feet long, but you can always get a shorter one for your kids. The advantage of the shorter one is that it is easier for your kids to train with. It is another critical factor to consider. However, it isn’t much of a thing to give you concern because you have to use a riser with it and most come with a flexible option. Getting the best gym bar that can withstand the weight of your kids will ensure that they get the fun and excitement they desire from training. Don’t get a gym bar that isn’t strong to withstand the weight of your kids. You might need to consider getting a mat for a gymnastic bar to protect your kids whenever they fall while training. See to it that the bar you get is compatible with all kind of matting material. The most gymnastic bar comes with an adjustable height option using the D-2 knobs. You need to consider getting the adjustable bar, so you don’t need to get a new one as your kid’s increases in height. Getting the best kids gymnastics equipment for home use is the best gift you can ever give to your kids that are gymnasts. Parents ought to provide support to their kids who love to participate in gymnastics not only because of the fun and excitement they derive from it but because of the health benefits too. With many types of gymnastic equipment out there in the market for kids, choosing the right one for your kids might be quite difficult which is why we’ve made the correct list of the best for you to choose for your kids. Our focus is to help you make the right decision and get your kids the best equipment needed to help them take their gymnastic skills to a higher level.